The invitation came from close friends. A camping weekend somewhere between our two towns in Central Ontario. 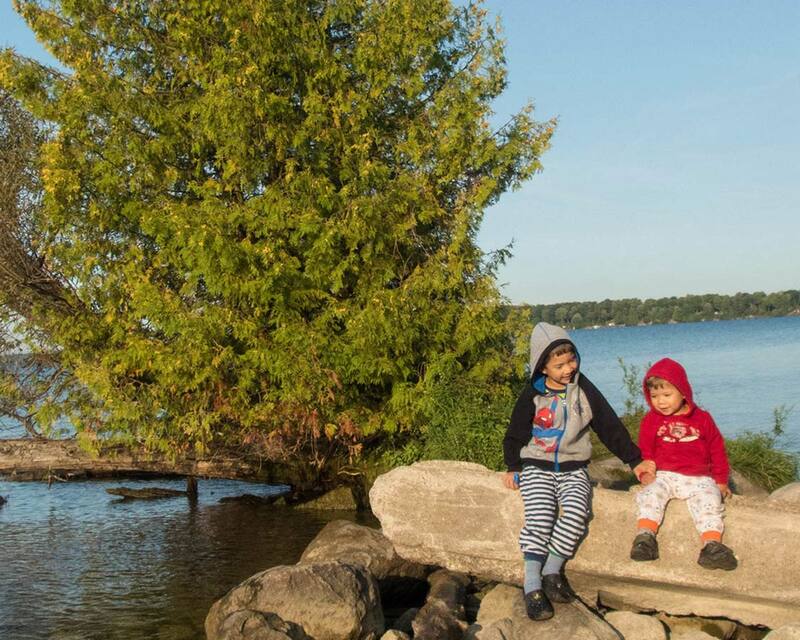 We did some research of Ontario camping destinations that are close enough for a weekend getaway from Toronto. Christina suggested Mara Provincial Park, a small park approximately an hour and a half north of the Greater Toronto Area (GTA). Camping in Mara Provincial Park was only about ten minutes south of Orillia, Ontario, on the shores of beautiful Lake Simcoe. Due to the park’s accessibility, it has become one of the top fun things to do in Orillia. Is Camping in Mara Provincial Park Easy? Mara Beach Provincial Park is small, quaint and accessible. But right away it was obvious that it was a popular campground. The weather that weekend was incredible. And the campgrounds of Mara Provincial Park were filled to capacity. We booked a serviced (electrical hookup) site at the Mara campground so we didn’t expect much in the way of privacy. If we were looking for a slightly more secluded campground, we could have booked one of Mara Provincial Park’s non-serviced sites. These sites are located a bit further into the park and offer some space from the loud music and larger family campsites. A visit to Mara Provincial Park has become a favorite for those looking for things to do near Orillia Ontario. Mara Provincial Park has several options for camping in Ontario. It has a full range of serviced and non-serviced sites. 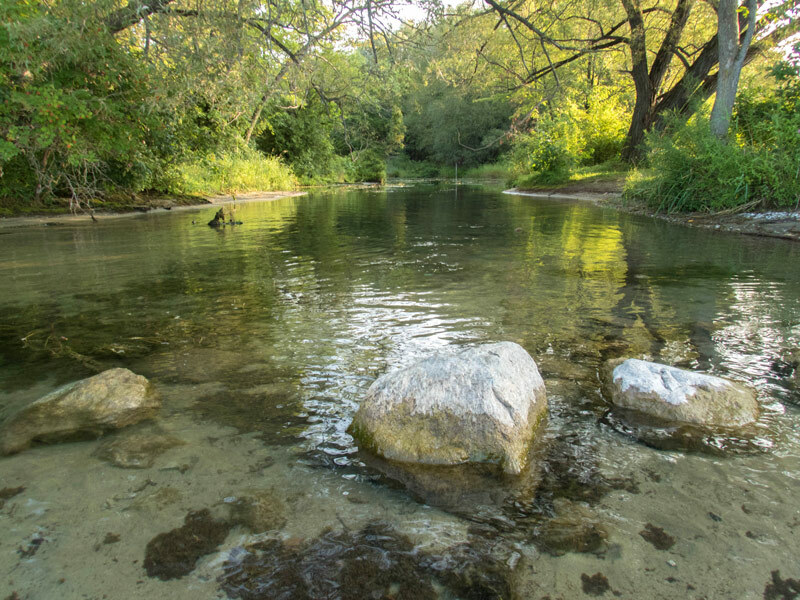 And the Ontario Provincial Park near Barrie can handle everything from RV’s to single campers. You can see the entire Mara Provincial Park site map here. If you opt for a non-serviced site, I recommend bringing a battery backup to keep any key equipment like cameras and phones charged. You can find our favorite power core here. Because the small size of the park there are only about a half kilometer of hiking trails. While this may not be much by our standards, the Mara Provincial Park beach is gorgeous! The crystal clear waters of the Mara beach have a soft, sandy base that allowed us to walk out for nearly meters. 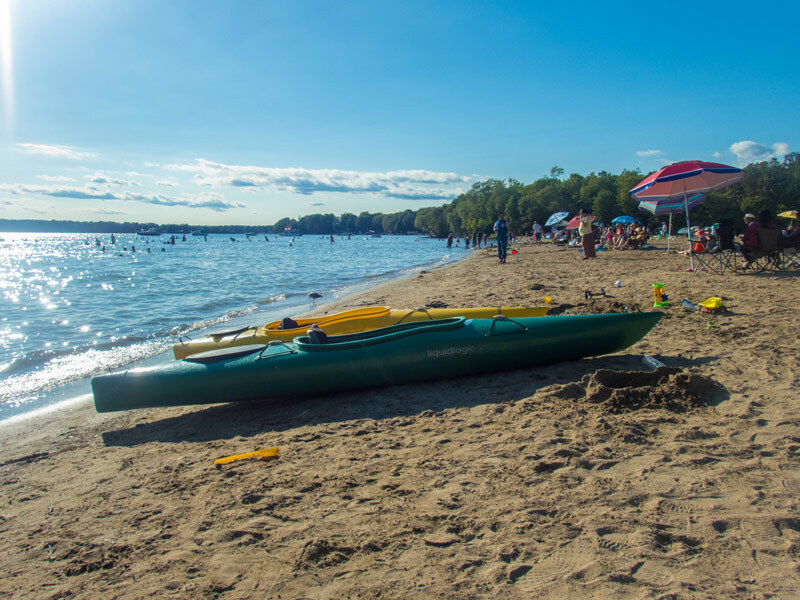 If you are looking for a great beach near Orillia, Ontario, the Mara Provincial Park beach is definitely one to add to your list. After arriving and pitching our tent, we grabbed some snacks and headed for the water. The beach area was packed with sun-seekers, families with BBQs and tents, and happy children running everywhere. Mara beach, like the campgrounds, was crowded, but we were still able to find space near the edge of the grass. We pitched our umbrella and started digging sand for our sand castles a few feet from the water. 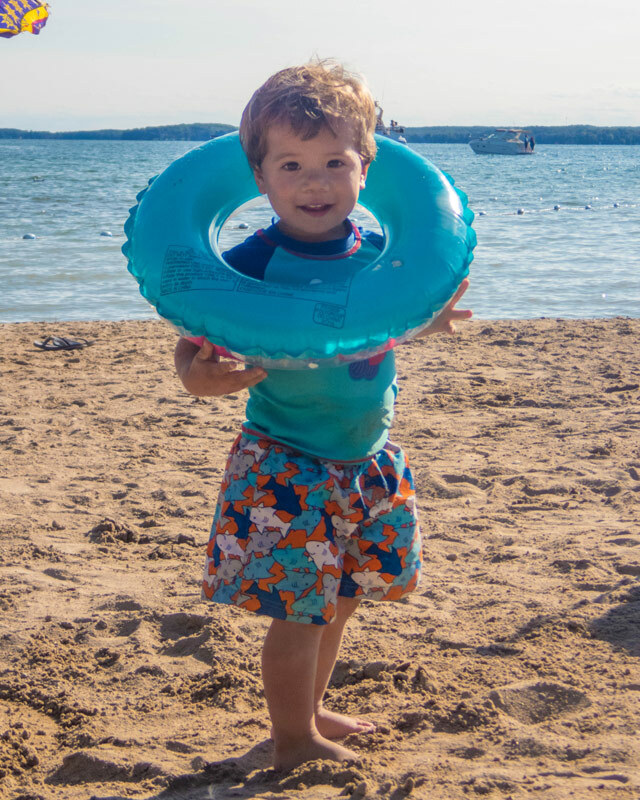 In no time, the boys were splashing in the warm, clear water of Lake Simcoe. 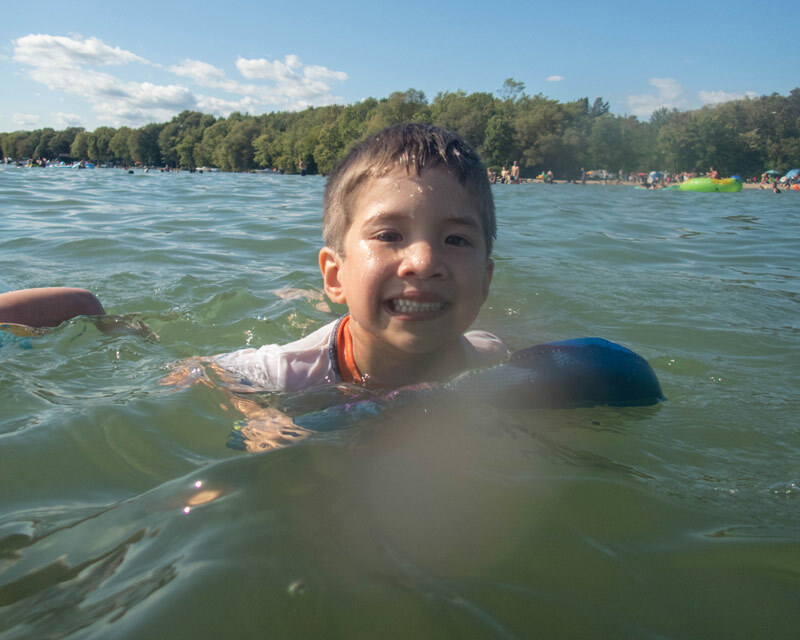 Because of its accessibility, shallow, warm waters and small size, Mara Provincial Park may be one of the best beaches in Ontario for kids. At the very least, it has become a favorite cottage country alternative for those looking for places to go in Ontario. One of the prettiest spots in Mara Provincial Park is near the boat launch area There is a small jetty where we crossed the small river in Mara Provincial Park. It’s shallow and excellent for catching crayfish and frogs. Just on the other side there is a small landing where the boys spent some time climbing rocks and throwing stones into the waters of Lake Simcoe. The jetty is known as Mara Point. For these views alone, Mara Provincial Park has become one of the best day trips from Toronto, Ontario. We made our way back to our Mara campground for a dinner of fire roasted (burnt) hot-dogs followed by the camp classic SMORES for dessert. The kids ran around happily with glow sticks chasing fire flies. Before too long it was time to wash up for bedtime. This would be D’s first night sleeping without a crib. We were hopeful that he’d handle it just fine, and he absolutely loved it! After laying with him until he fell asleep, we stepped out of the tent to enjoy the fire with our friends. When we made our way back to the tent a few hours later he had barely moved an inch. After a wonderful sleep, we cooked up some eggs and bacon and explored some of the hiking trails in Mara Provincial Park. Although the flies were plentiful, the short trails made for an easy hike with kids. We packed up our site before heading back to the beach for a few hours before heading back to reality. 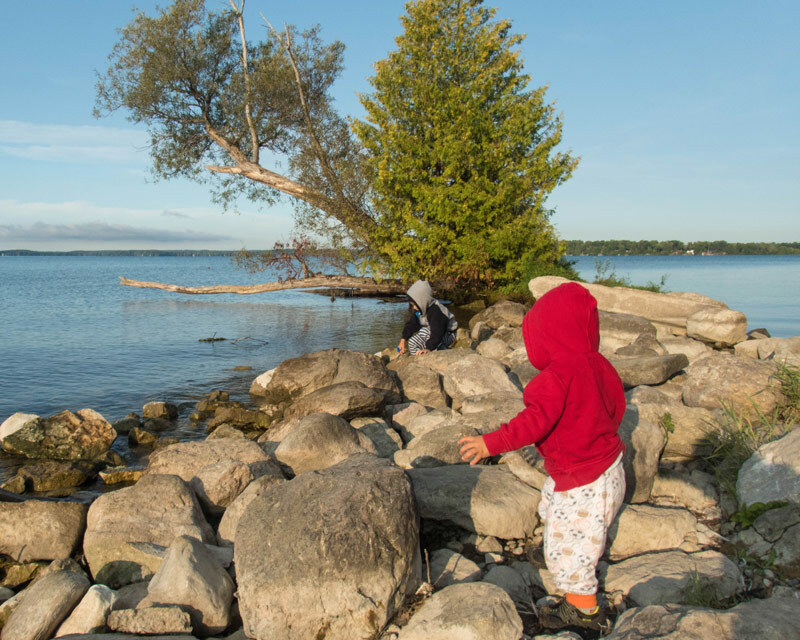 Do We Recommend Camping in Mara Provincial Park with Kids? 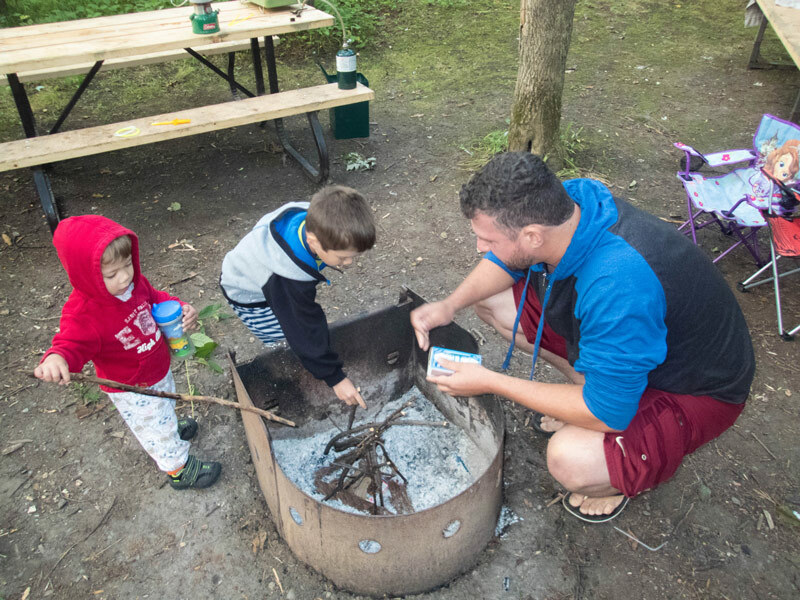 Camping in Mara Provincial Park with kids is about as easy a camping experience as you can get. Because of the park’s small size and accessibility, it is about as family friendly as campgrounds come. The facilities of Mara Provincial Park include showers, clean washrooms with flush toilets and picnic areas. The beach at Mara Provincial Park is excellent as well. The only downside is a small size, lack of trails and the crowds. But during the summer, almost all of the Ontario Provincial Parks are packed to capacity. 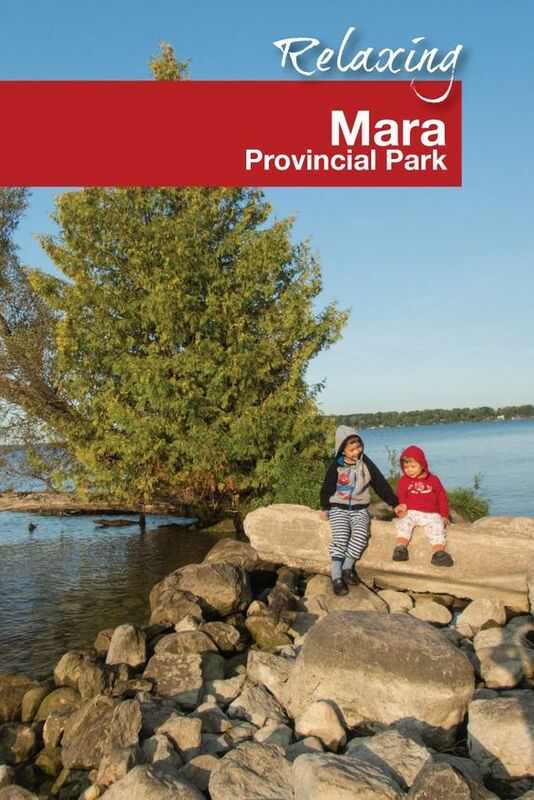 For if you are looking for family vacations in Ontario we recommend Mara Provincial Park as a great destination for camping with kids! There are so many amazing Provincial Parks in Ontario. Mara Provincial Park is just one. Sauble Falls Provincial Park is located just two and a half hours north of Toronto and the region makes for a wonderful getaway. You can read about Sauble Falls Provincial Park here. Bon Echo Provincial Park is just three hours east of Toronto. It features towering cliffs and ancient native pictographs. You can read all about Bon Echo Provincial Park here. Killarney Provincial Park is located not far from Bon Echo and features some of the most beautiful landscapes in Ontario. You can read about our experience in Killarney Provincial Park here. You can also visit one of Ontario’s Five National Parks like Bruce Peninsula National Park, Fathom Five National Marine Park, Thousand Islands National Park, Pukaskwa National Park or Georgian Bay Islands National Park. You can read about Ontario’s National Parks here.